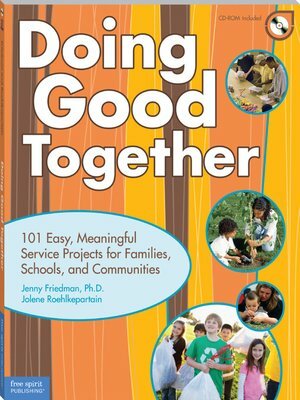 Doing Good Together answers the growing demand for family volunteerism with hands-on service projects focused on easing poverty, promoting literacy, supporting the troops, helping the environment, and more. Each of the 101 self-contained projects provides time requirements, materials list, step-by-step instructions, debriefing questions, recommended books for kids and teens, and ideas for extending the activity. Digital content includes the book's 45 reproducible forms.